You can often just go online to find old newspaper articles. Whether you’re looking for a specific article or just want to browse what people were thinking about in 1907, there are quite a few newspaper archives online that store scans or images of old newspaper pages and clippings. Newspaper archives can be a surprisingly good resource for genealogy information, general research or getting a sense of what the world was like decades before you were born. I love trawling through history because it puts today’s problems into perspective. Whatever disasters are happening now, I take comfort in the fact that I can always find similar ones from history that the world survived. Elphind searches everyone else’s archives for you. They connect you to the archives of well over 3,000 newspapers, so this one service could be all you need. It’s certainly a good starting point. Wikipedia has an incredible list of local papers from around the world which have their own archives online. This is a great source for local papers when you already have an idea where you need to be looking. Google News Archives allows you to search for certain topics online or browse their collection of scanned newspapers. It’s a good collection. The results are all PDFs in frames, so you can’t download them. But you can link to them (just copy the link and store it in a doc file, Evernote, etc.) for easy future reference. 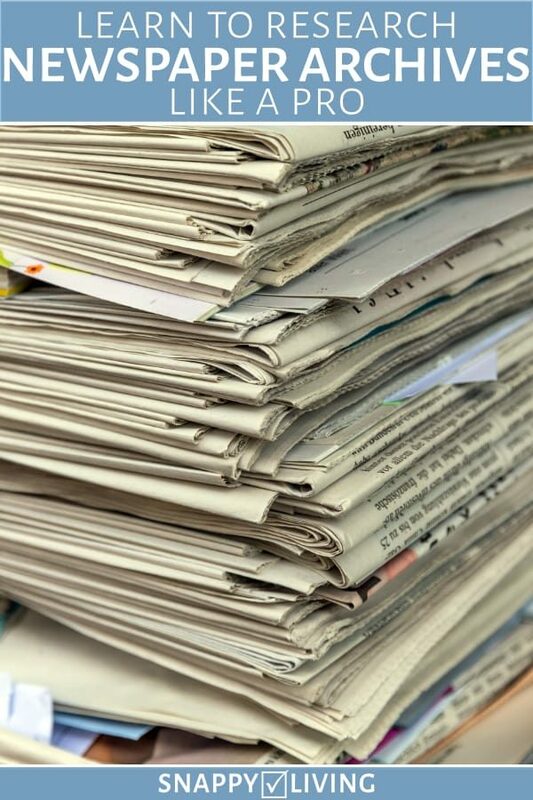 GreenFreeLibrary is a free searchable database of a select set of local papers. That’s the one downside – they don’t have that many different papers, which can limit their usefulness on searches for local information. You search for a topic, and you get search engine style results describing all the available articles to read. They’re in PDF form – when you click on an article you want to read, it opens in a frame at the bottom of your page. This frame works just like a PDF tab opening in your browser, but it’s faster. You can zoom in as far as you need to, even more than 100%, and scroll to get all around the page. NewspaperArchive.com. This site has a lot to choose from, and you can browse or search for what you want in several different ways. There’s a monthly subscription fee to read the articles. For free, you can do a search to find out if they even have what you’re looking for. High-Beam Research is a paid archive of newspaper and magazine articles going back to the 1980s (some papers less). Without buying a membership, you can browse the publications they carry, search out specific articles, and read the first paragraph of an article. With a free trial, you can read everything for a week. High Beam is definitely intended for hard-core researchers, but it’s friendly enough for anyone who knows how to use a search engine or browse through categories in a sidebar. New York Times has archives online, and they’re mostly free for subscribers. There are trial options for subscribers. Yes, I saw this feature recently in a website http://www.pressmart.net. This website is providing digitization services for print publications and most of the publishers are using the services of pressmart.net. For small town newspapers, people can search http://www.smalltownpapers.com for free.